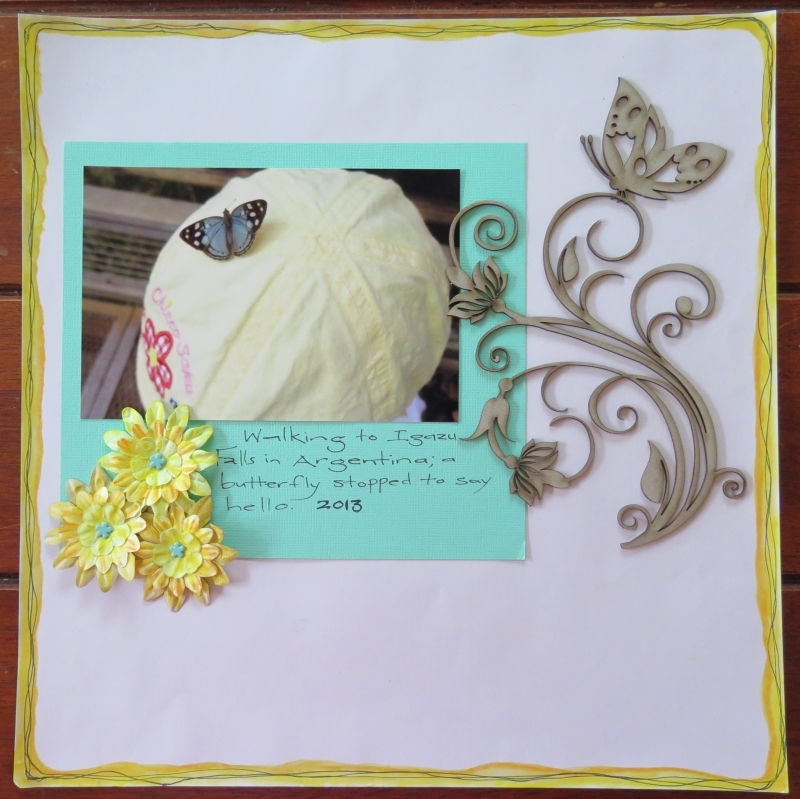 Last year my scrapbooking mojo pretty much deserted me, so it’s been a while since I’ve played along with any sort of online challenge. However, when I saw the sketch at Let’s Get Sketchy for the first week of February I had to have a go. I’ve flipped it and added a second photo, but you can still see the inspiration of the sketch. We went to Germany a few years ago now so that Gorgeous Man could present a paper at a conference. Since we were in the country we made sure to stop at Neuschwanstein Castle, Gorgeous Man has wanted to visit this place for as long as I have known him. I hand lettered the title. It’s a very simple page, but hopefully it’s enough to kick start my scrapping mojo again. 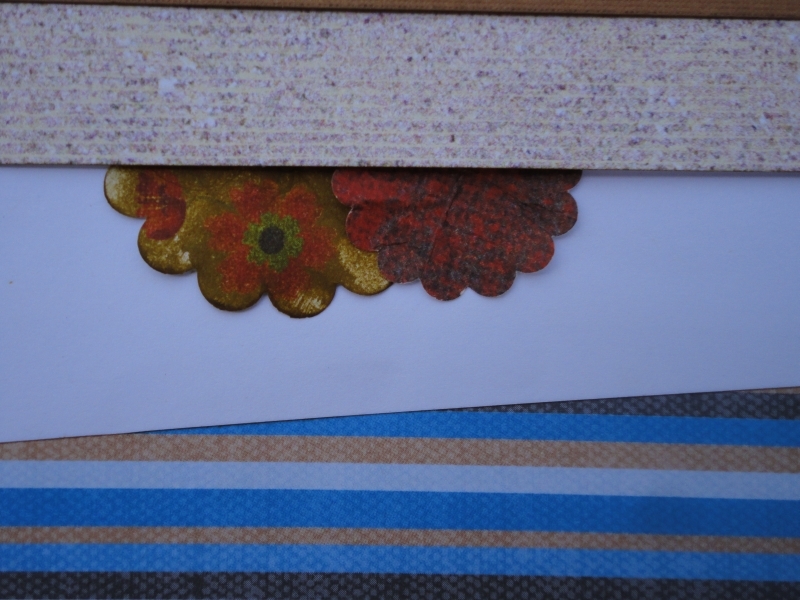 I have to admit that yellow is not a colour I usually work with in any of my crafts, but when I saw the mood board at Berry71Bleu I was charmed. I did this page at the beginning of August, but then internet woes (as in non-functioning internet) and a short trip to Australia to take care of some things got in the way of earlier posting. and edged the page with watercolour and ink. 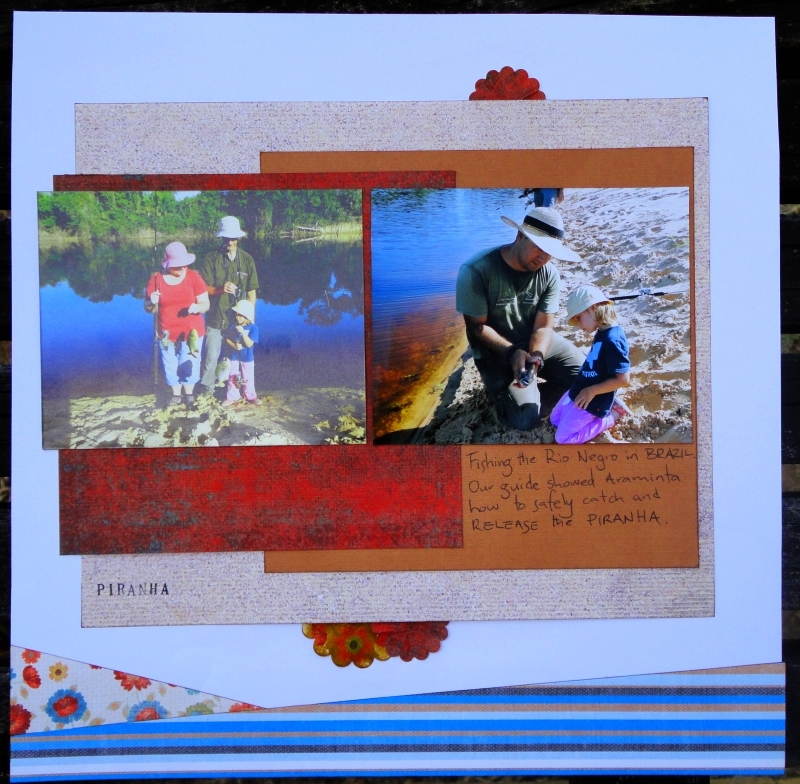 It would be nice to be able to run to the local store to pick up supplies for a challenge, but I can’t deny that living in a place with no scrapbooking stores is good for using up the stash. 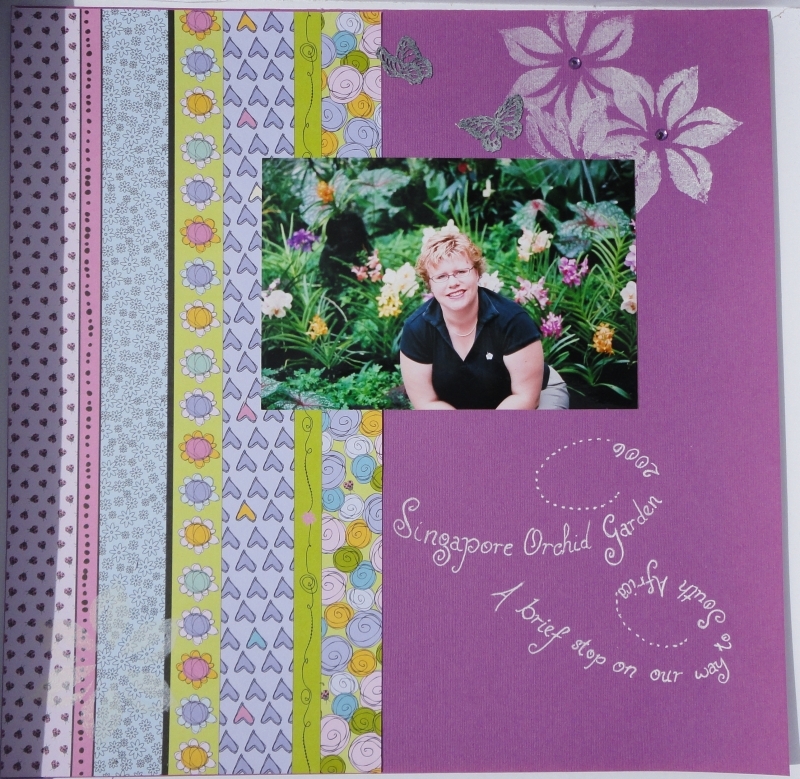 It’s been a long time between scrapbook pages, but I’m kind of happy with how this one turned out. 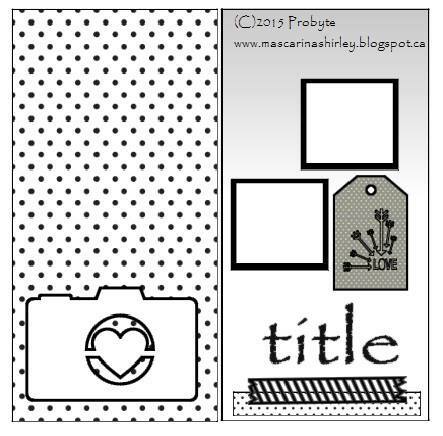 It’s been a long time since I did any scrapbooking, but I couldn’t pass up the sketch on Let’s Get Sketchy this week. This is an old photo, I’m trying to scrapbook myself more and shift some of the back log of photos. At the beginning of 2006 we packed up our belongings and moved to South Africa for 6 years. 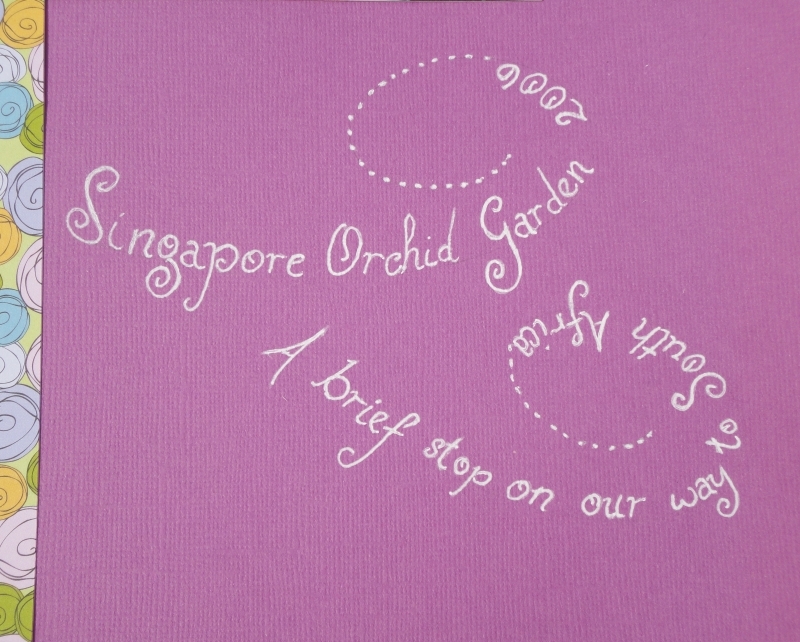 We had a stop-over in Singapore along the way and this picture was taken in the orchid garden. I used a stencil to draw the guidelines for the title and journalling and then hand lettered them. I also added some stenciled flowers and just the tiniest bit of bling. 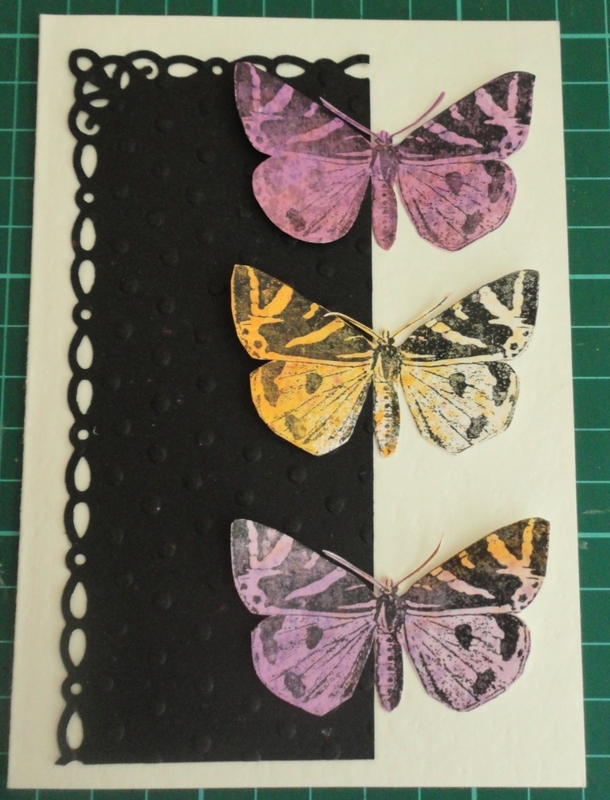 The butterflies were black and left over from another project. The black was too startk and so I gave them a dab of white paint to soften them up a little bit. This page has been finished for a while, but we are having internet issues and so I haven’t shown it until now. Slowly doing up some of the old photos. I’m getting stricter with myself about putting stuff in photo albums and not having to scrap every single photo. 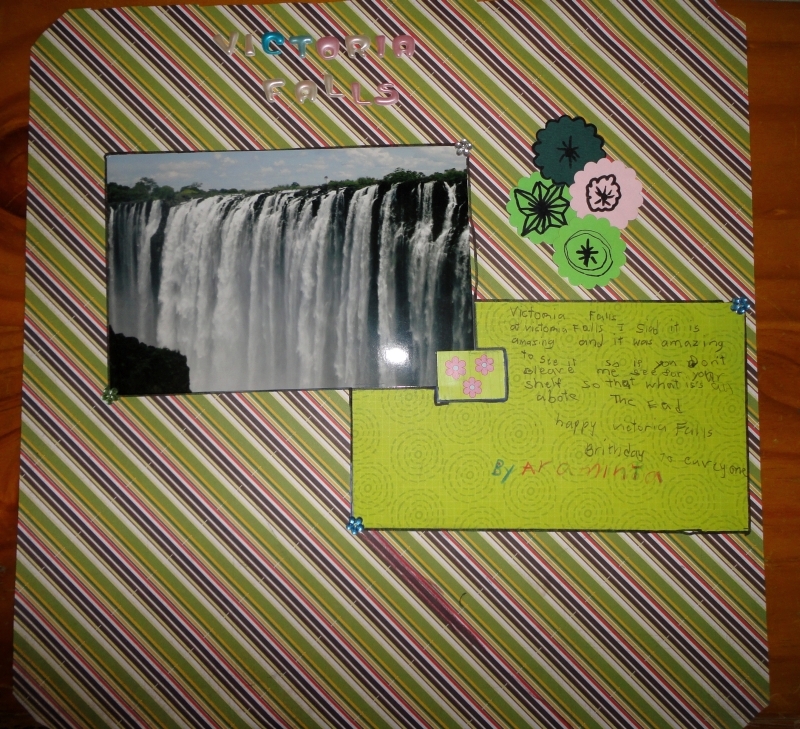 The blue background page and the green are from a paper stack I bought in South Africa when I first started scrapbooking. I’m slowly using it all up. 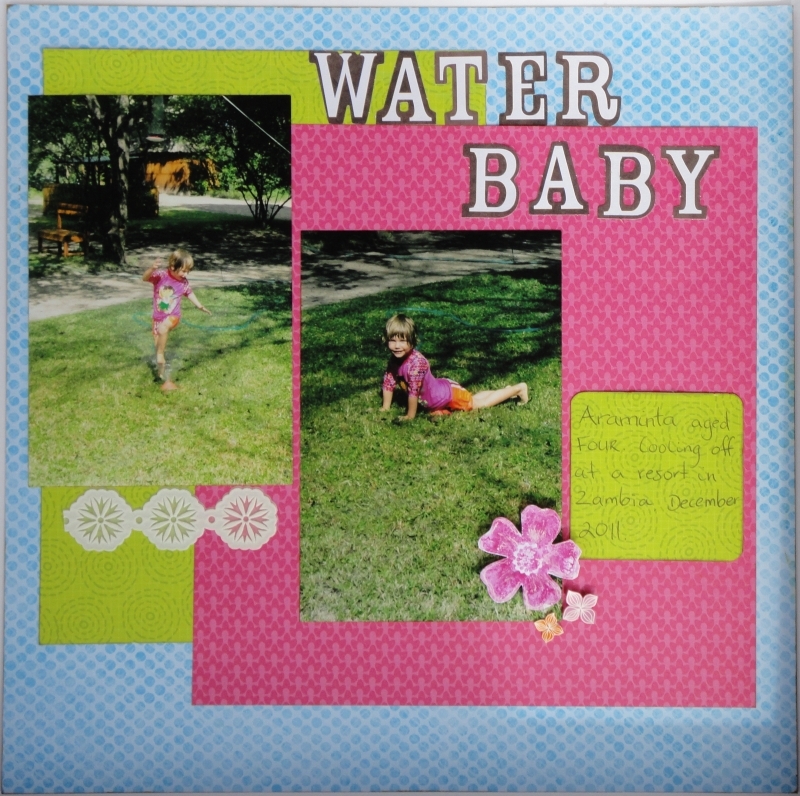 Background pink paper is from Stampin’ Up. 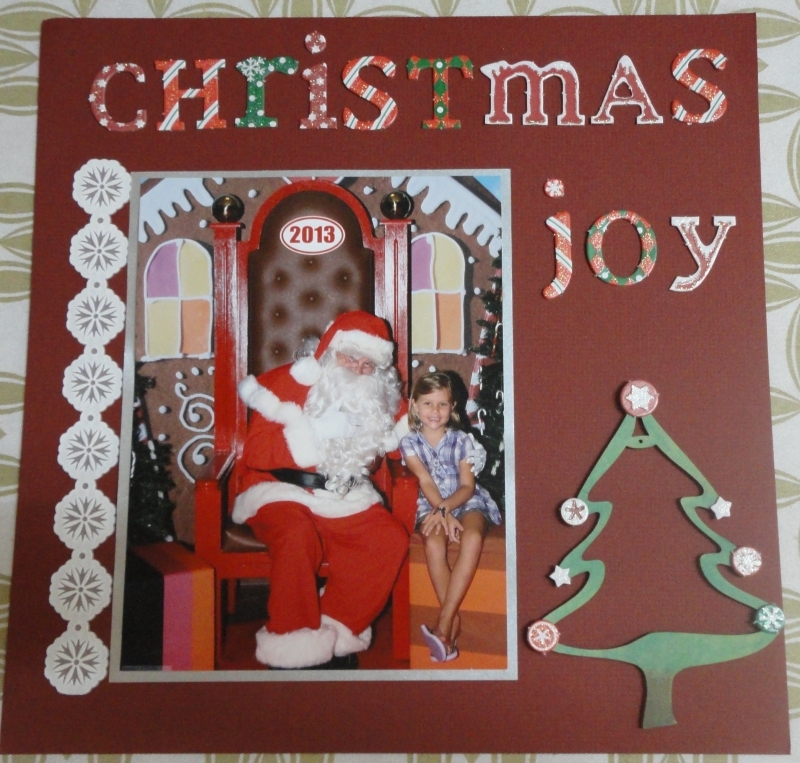 Letters are from a kit I received from SMIL for Christmas. 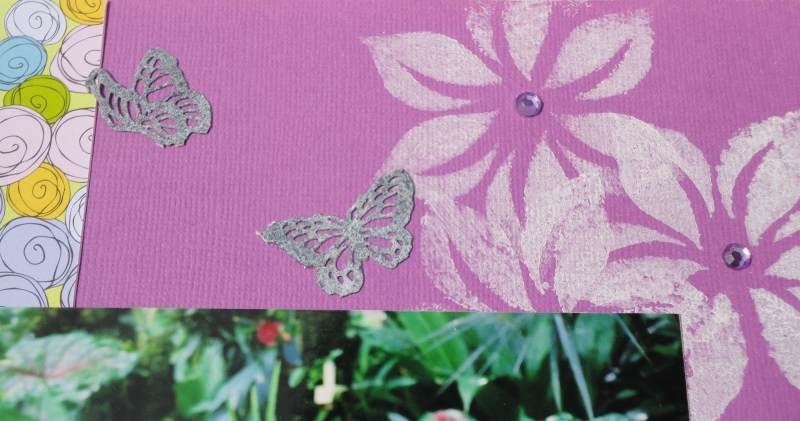 The large flower is a Stampin’ Up stamp inked with water soluble wax crayon. 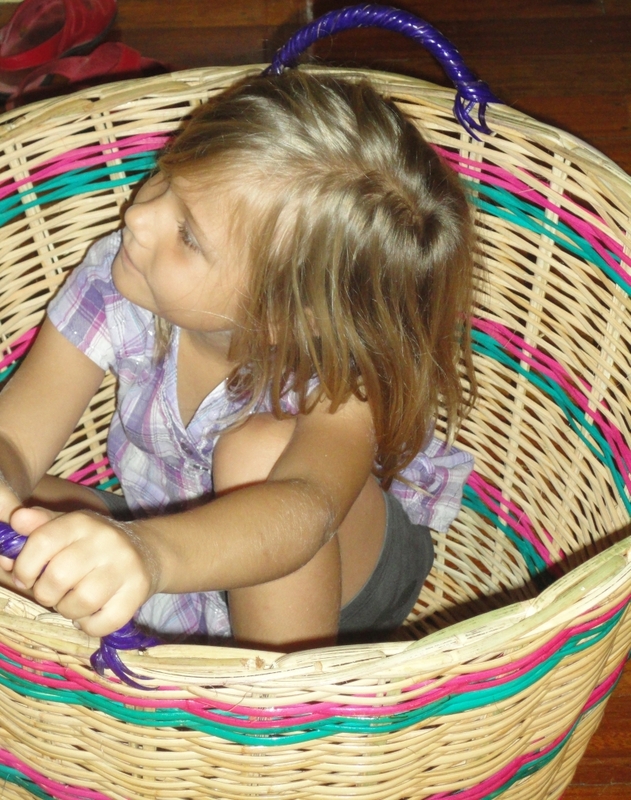 Gorgeous Girl also did some scrapping and insisted I post the page on the blog. 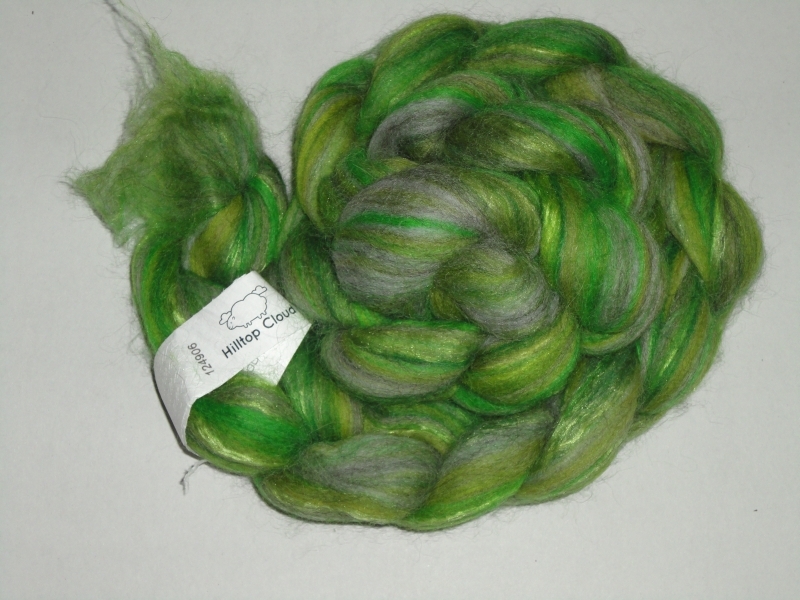 I’m currently plying two braids of this lovely goodness I got for Christmas. I’m pretty wrecked after getting home each day and the spinning is a good way to decompress. 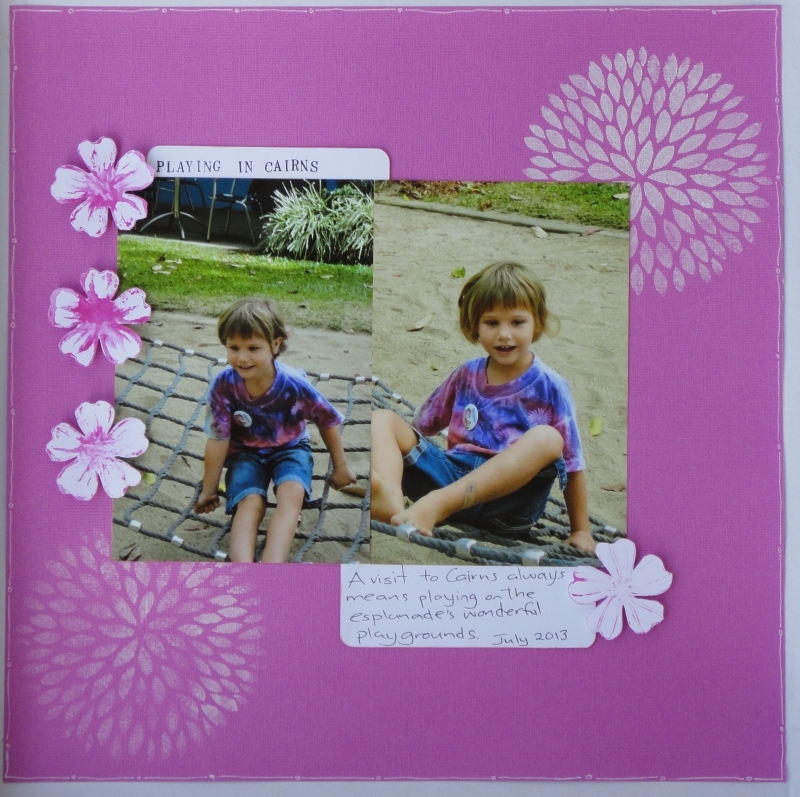 Since I’ve been reunited with the scrapbooking stash there has also been a little bit of scrapbooking. I used some techniques I learned in my art journalling class. 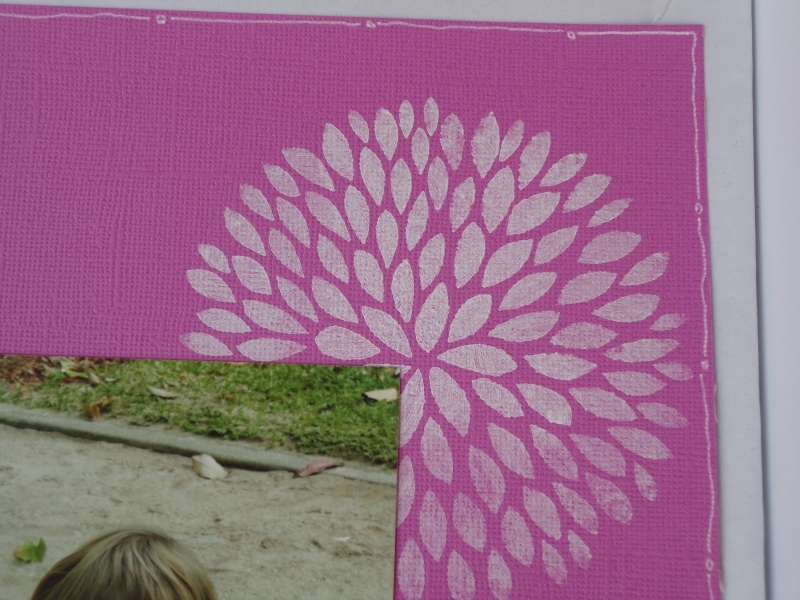 The white flower is a stencil I picked up while in Australia. I used acrylic paint. I also took advantage of my extended stay in Australia to order some Stampin’ Up stamps from my friend Kerin. I used water soluble wax crayons to colour the image and then sprayed the stamp with water and stamped it off. Not the clearest image, but it works. So, I have to confess that this scrapbook page is misleading. 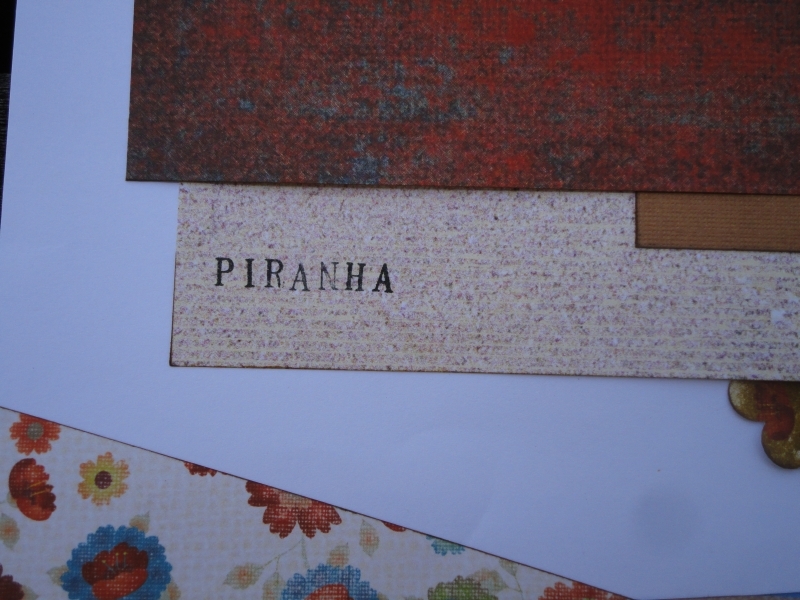 I dyed the chipboard using DIY mist (food colouring and water) and my new watercolour wax crayons. I made a card as well. 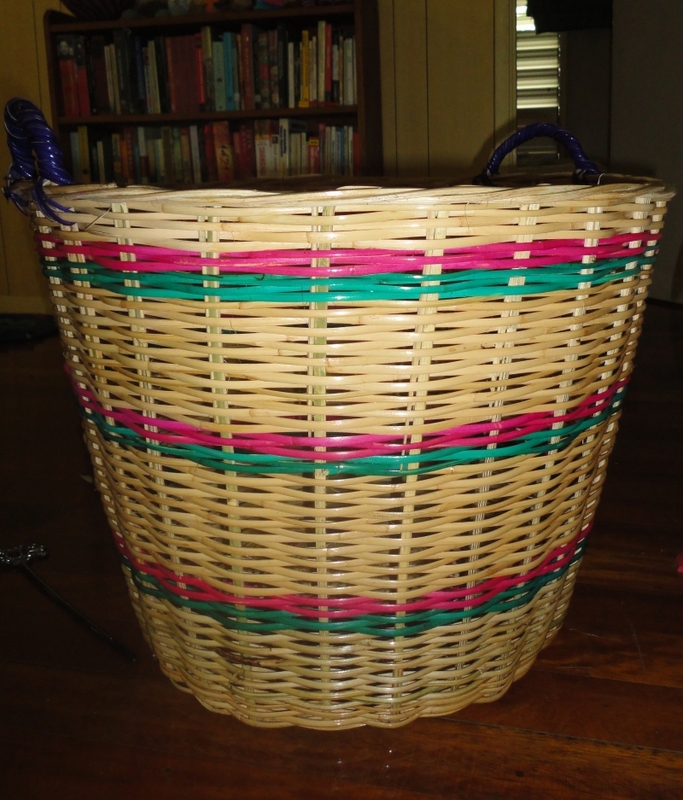 I’ve been wanting a large woven basket for a while. Gorgeous Man found one at the market today. It’s now housing Gorgeous Girl’s collection of soft toys. 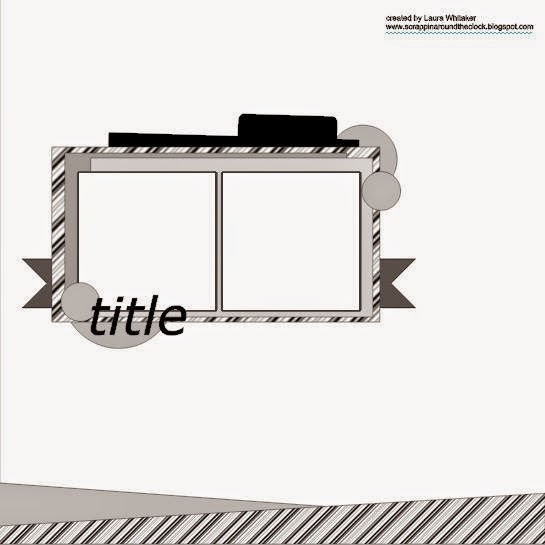 I used the November Week 2 sketch at Let’s Get Sketchy as my inspiration for this layout. Here is the sketch provided. My photos were a little larger than the ones in the sketch and I wanted to add journalling, so I modified it a little, but I think it still follows the sketch’s original intention. Once again I’m scrapping the backlog. Please excuse the afternoon sun’s reflection on the photos. 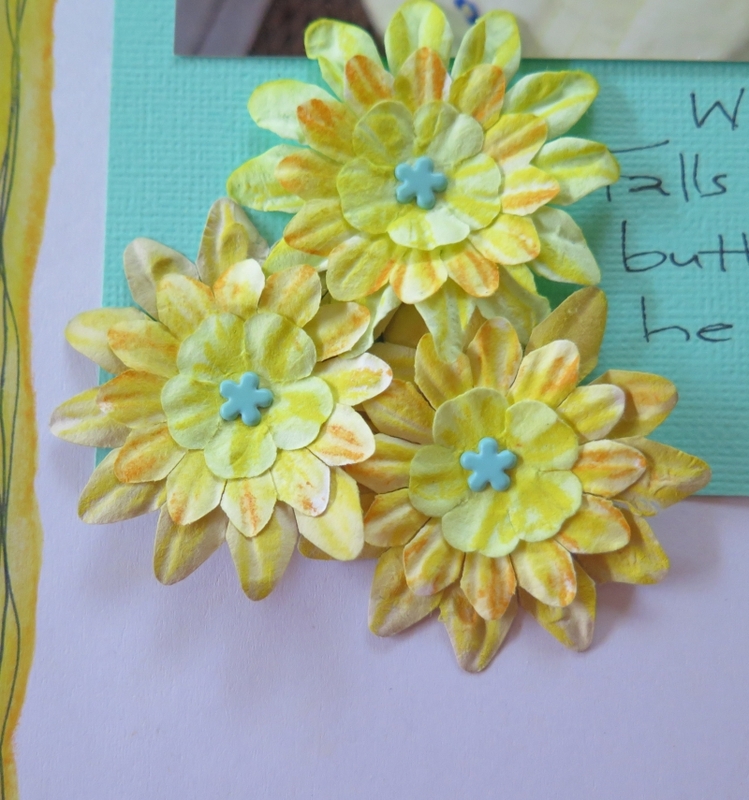 I used distress ink to age some of the embellishments.